Officially retIring from kicking and stabbing. Will except offers for any of this stuff, I didn’t look at current retail prices or anything. would also give a great deal if you buy all of it as a package. well maintained and always put away sharp. 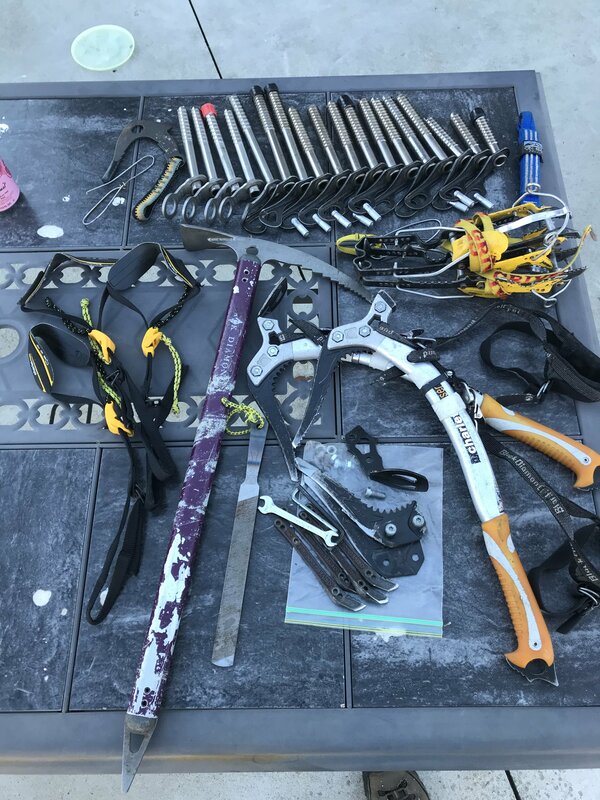 $300 Set of sharp Charlie moser quarks, bd clip leashes and the 3 original moser leashes, spare picks for dry tooling, sharpening file with a round handle. $80 grivel crampons, extra front points for dry tooling. Can’t remember what model but they are for steep and overhanging ice and don’t ball up bad on steep snow.